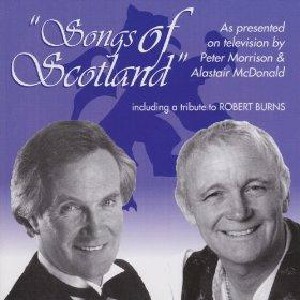 Songs Of Scotland, The Scottish Music Shop - The Best Selection of Scottish CDs and Scottish DVDs. Two of the biggest names on Scotland's song scene join forces and styles in a tribute to their motherland. Peter, the well-loved stage baritone, and Alastair, the banjo-playing folk singer, present an album of their television show.